community partners, schools, art academies, local graffiti artist, and Jane Seymour (artist/actress). The murals will promote healthy living, nutrition, community, and the farm to table connection while tying in all gardens together. 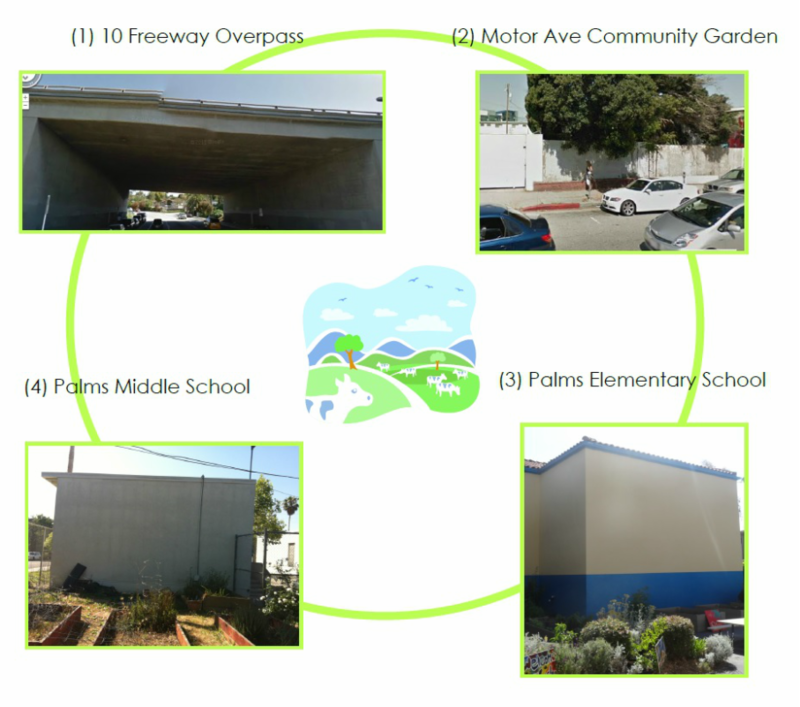 There will be an additional farm-based Mega Mural under the freeway overpass.